Luxury four star hotel set between a lake and a world famous golf course just a short distance from the sea. The quality of the facilities and services makes this an ideal place to enjoy pleasant and active family holidays. The atmosphere is more of a modern hotel rather than the charm that has made the Paradors famous throughout the world. A must for all golf lovers, thanks to its 18 hole course considered to be one of the best in the world. Located by the Mediterranean sea, the Parador El Saler also has a seasonal swimming pool, gymnasium, sauna, spa and a magnificent football pitch. The interior decor displays a combination of classical and elegant lines and also innovative character. 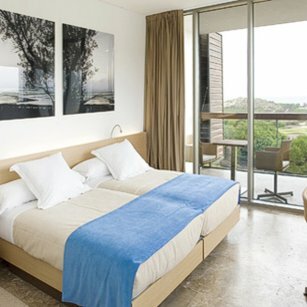 The bedrooms are spacious and comfortable, some offering magnificent views of the Mediterranean. The El Saler Parador also has several fully equipped conference rooms for working meetings and social functions. Visit Valencia the city of oranges, it is only 10 miles from the Parador. Here you might like to visit the cathedral, the ”Lonja” (old marketplace), Generalitat Palace, Benicarlo palace, Patriarca College and the Sciences city. In Valencia during the weekend after San Jose (March 19th), the feast known as Fallas is a must. It is a fire and fireworks spectacle which takes place all over the city, before an audience of millions. The second week of July, the city celebrates another feast known as the ”Gran Fira” (Big Fair). Witness the contest of bands of music, the battle of flowers, and, of course, more fireworks. Golf and football (soccer) are the sports to play at this Parador. The nearby Mediterranean sea allows all types of nautical sports. Yachting harbours and magnificent beaches such as Cullera, Gandia, Xativa should not be missed. 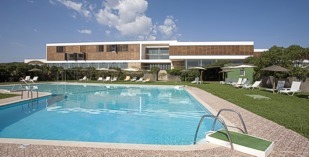 This Parador of El Saler has sixty three twin bedded rooms and two suites. In the rooms you will find a telephone, satellite television, TV canal plus, safe deposit box and a mini bar. There is heating, air conditioning, restaurant and bar, currency exchange, free internet access in communal areas, lift, satellite television, parking facilities (without security and limited places) and a gift shop. The El Saler Parador also has conference facilities, children play area and golf course. Distance from the nearest airport is approximately 25 kms, train station is 20 kms away and the nearest port is 18 kms away. 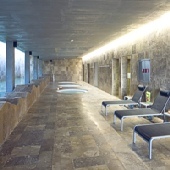 Estuvimos hospedados en el mes de octubre, el hotel muy moderno y con mucha luz, las vistas preciosas al mar y al campo de golf. Cenamos en el restaurante y el servicio la atención y la cena excelente. Y para terminar....el campo de golf una maravilla. Yo no se que más quiere la gente. Para mi la atención y la amabilidad en todo momento, fue excelente. Por supuesto que volveremos. We enjoyed our stay at the Parador, perfectly situated. Lovely Golf, pleasant room, restaurant OK, service as expected (good). We shall be back next year. Your reception on arrival: very friendly The bedroom: wonderful room, with a lot of space, modern decoration The view from your room : nice terrace with view on first whole The restaurant : we loved the restaurant and the fine cuisine (from the appetizer to the deserts; the nice choice between different plates The location of the hotel : wonderful in a natural reserve The golf course : a splendid golf course next to the hotel conclusion : we will come back !!! 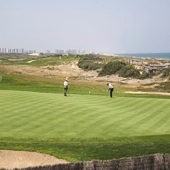 Parador de El Saler is a hotel between a lake and a world famous golf course. A short drive to the sea.